The 85 mm gun mounted on the IS-85 was deemed insufficient for a breakthrough role. Demands for a 122 or a 152 mm gun were made (despite the ISU-152 already being accepted into service). 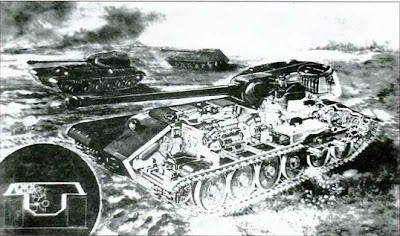 Kotin himself proposed the use of the A-19 gun, citing its effectiveness against concrete bunkers and enemy tanks alike. The gun was equipped with a muzzle brake, despite protests that it would be too noticeable when firing, and installed in a D-5 gun mount. The resulting construction was named D-2T. The T-shaped muzzle brake failed during tests, and was replaced with a "German style" muzzle brake, similar to those used on 88 and 105 mm guns. Later in the tank's life, it was again replaced with a domestic design. 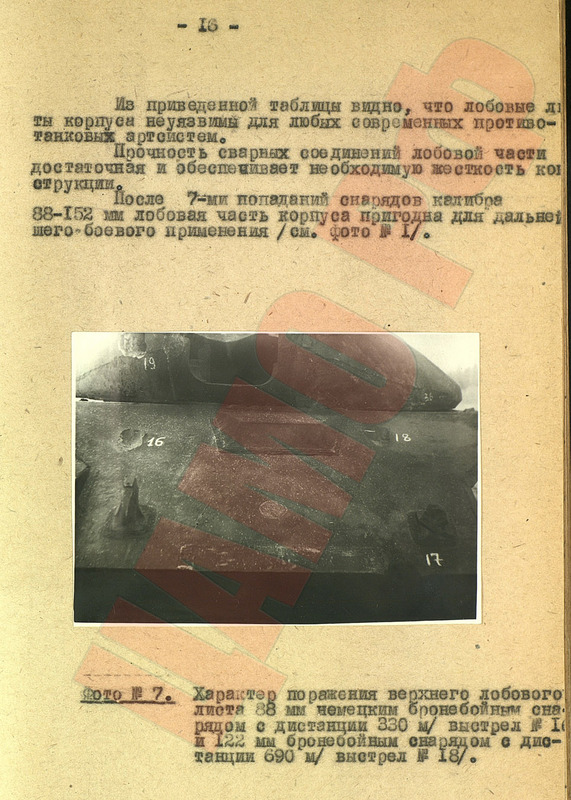 The effects of the new tank gun were excellent: coupled with a new pointed AP shell, it could penetrate the front of a Panther at 1400 meters, and the front of a Tiger at 1800 meters. The tank was accepted under the index IS-122. 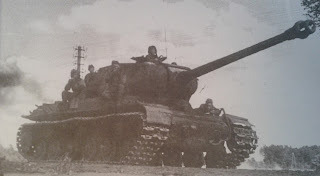 Production IS-122s differed from the trial version by a D-25T gun with a horizontal semi-automatic sliding breech, which increased the rate of fire. Modifications to increase the rate of fire were carried out throughout the tank's life. "I had a habit of following tanks to the front lines," remembered Kotin in a 1977 interview with Voyenniy Vestnik. "I don't ride them into battle, but I examine the aftermath. ... I remember we tested an IS. The shell was heavy, the loaders complained that loading takes too long. I climbed into a tank, tried to lift a shell, and confirmed that it was very heavy. I needed to do something. The [Kirov] factory quickly developed a special mechanism for loading shells into the breech." Kotin's device seems to have been effective. 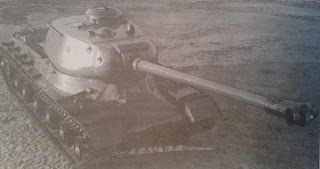 In a letter to the Commissar of Armament Ustinov, concerning re-armament of the IS tank with a 100 mm gun, the engineers wrote "We consider it imperative that the D-25T remain in the IS-2. Latest trials at the ANIOP resulted in a rate of fire of 4-6 rounds per minute". Shashmurin was busy with a brand new IS tank. Really, the only things it shared with the IS-2 were the gun caliber and its breakthrough role. 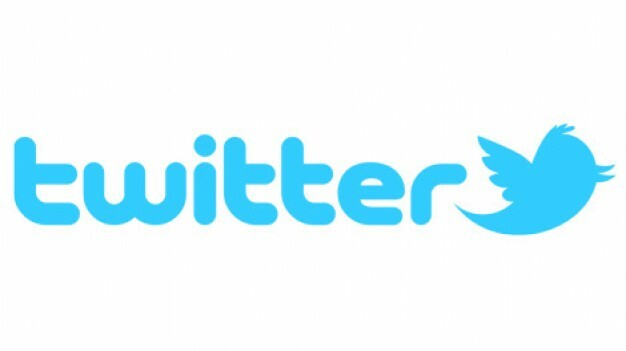 It even looked vastly different. The plans for this project were lofty indeed: front armour impenetrable for Panther, Tiger, and Ferdinand guns at any range, side armour impenetrable at over 500 meters, an 800-1000 hp engine to get this massive armoured slab moving at 35 kph. Considering that the projected mass of the heavy tank would be 55 tons, that's not even that unthinkable. The fighting compartment was located in the rear, with an engine compartment in the center. This layout allowed to make a gun with a very long barrel, accelerating the shell to 1000 m/s, without it getting in the way of maneuvers. The transmission could be electric or mechanical. 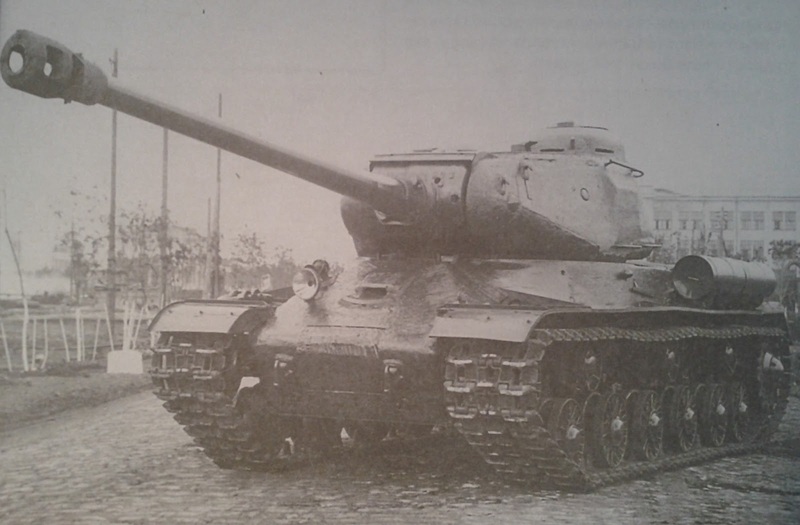 One of Shashmurin's projects was deemed viable, designated IS-2M, and began development. Unfortunately, the resources of the construction bureau tasked with the project were soon consumed by the IS-6. While the requirement for impenetrable front armour seems impossible, the IS-3 managed to pull it off in that same year. "From the attached table, it is clear that the front section of the hull is impervious to any presently known artillery system. The durability of the front hull is sufficient, and provides satisfactory robustness. After 7 shots from 88-152 mm guns, the front of the hull is capable of continuing combat. Photo #7: hits from a German 88 mm shell from 330 meters (#16), and a 122 mm shell from 690 meters (#18)"
The last photo. That tank lacks pikenose from what I can see. Is that IS-6? I am interested to see the table mentioned in the last picture, just for completeness' sake. As would I. Sadly, I don't have it. That rear mount IS looks beast, would love to have that in WT or WoT, any more info on that?